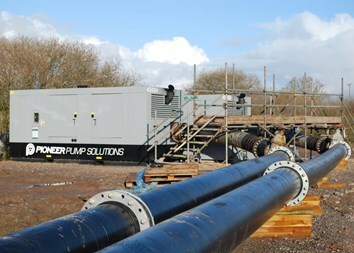 Pioneer Pump Solutions is recognised as the leading Pump Hire provider of specialist and general purpose pumpset, hoses and accessories. We pride ourselves in providing efficient solutions to the most demanding environments and thoughest applications. Operating widely throughout Europe as well as internationally, Pioneer partners with leading pump hire companies all over the world, enabling our customers to get a Pioneer pump anytime, anywhere. Renting from Pioneer will allow you to focus on your core business and gain access to our skilled experts 24/7. Our fully trained staff understand all aspects of product selection and will ensure to select the highest performing pump for your application. Our fleet of pumps are serviced and maintained to a very high standard. All pumps are fully tested and inspected before delivery to site and are serviced according to our strict internal maintenance procedures. From minor repair to full overhaul, Pioneer Pump will conduct repairs in house, at one of our UK facilities or even on site. We understand that a quick response is crucial and that pumps need regular service to maintain the highest level of performance.